This past winter, my wife knit a Tom Baker-era Doctor Who scarf as a birthday gift for a friend. It turned out my friend has been wanting one since he was a kid, and could not have been more thrilled with the gift. He proudly wore the 12-foot scarf, its colourful tassels dragging along the streets of Washington, D.C., for the remaining cold days of the year, and even beyond them. Recently he told me a story: while walking to work on one such day, he crossed paths with a young boy (perhaps nine-years-old) and his mother. The boy, on seeing my friend, began jumping up and down and pulling at his mom's coat, yelling with delight: ""Doctor Who Scarf! Doctor Who Scarf!!!" I tell this story, not only because of the profound pleasure the incident provoked in my friend, but because it reveals something I've long believed about Doctor Who as a televisual and cultural phenomenon. Even after 50 years and over 34 seasons, the show appeals across cultures, continents, and generations. (Tom Baker stopped wearing that scarf more than three decades before that young American boy was even born!) I loved the show as a child, when episodes of Peter Davison's Doctor aired on my local PBS channel, and as an adult the relaunched BBC series has topped my list of favourite shows since the show appeared in 2005. And not surprisingly, I talk about Doctor Who… a lot. Easily more than all other television series combined. 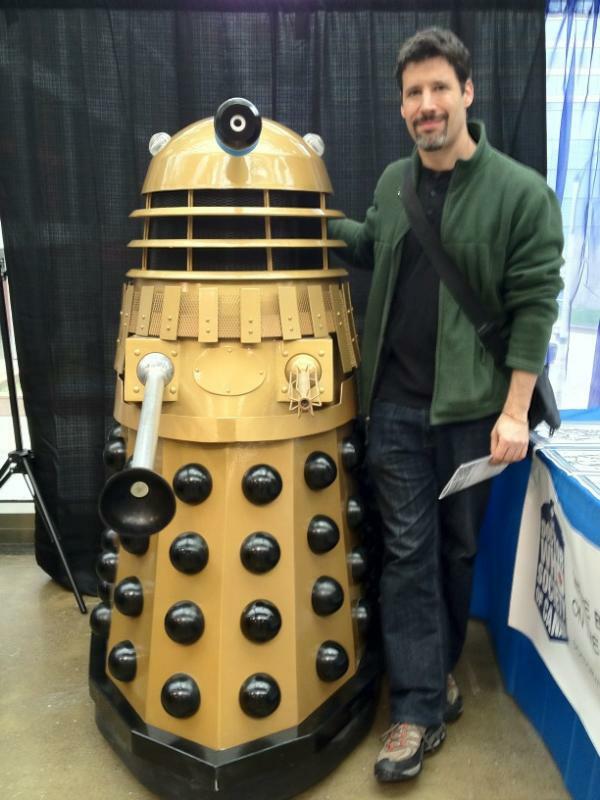 I've spoken about Doctor Who with doctors and lawyers, rabbis, priests and professors, friends and almost complete strangers. And there is always that moment when I realize that the one next to me loves what I love, and my heart opens just a little bit more to that person. I've had animated conversations with 10-year-olds about the paradoxical intricacies of TARDIS physics, and debates with 70-year-olds over whether Daleks or Cybermen were the more terrifying and why. (Right now, I can't recall which of the two I argued for at the time, because honestly both scare me witless.) Barely a new episode passes that I don't have a phone call with my friend from D.C. or with my brother. Those discussions can go on for hours, and often are only cut short only by the lateness of the hour. But in the more than four years since I started writing for Critics at Large, I've never written about Doctor Who. 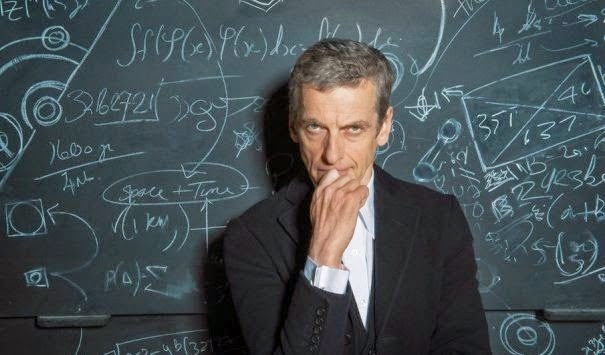 It wasn't until the show's remarkable new season, four episodes into Peter Capaldi's tenure as the show's twelfth Doctor, that I suddenly felt I had to write about it. And to be honest, until that moment, I don't think I'd really considered why I hadn't written onit before. The answer, upon reflection, is fairly obvious. I don't just enjoy Doctor Who, I love it – with all the messy, ambivalent convolution that comes with that deep affection. Sure, I can talk for hours about the series, but when I do, the conversation seems more confessional than critical – that in the end I really am talking mainly about myself. No doubt this is just as true for other series, but the parts of myself that are engaged by Who feel deeper and more basic than, say, the parts addressed by Breaking Bad or Deadwood. There is great television that addresses powerful social, political, or philosophical ideas and situations, and then there are shows that speak directly to our humanity. Doctor Who falls firmly into the second category. Focusing more on over-clever intricacies of plot and often leaving characters and emotion aside, that season's missteps highlighted the strengths and weakness of Steven Moffat (who, with fellow Doctor Who writer Mark Gatiss, is also the man behind BBC's Sherlock) as a showrunner. Clara Oswald (Jenna Coleman), initially intriguing, was largely emptied out by the end of season, with her "impossible girl" status being resolved in a fashion that left her seeming more prop than character. (It could, but shouldn't, be compared to the resolution to the "Bad Wolf" mystery of the 2005 season. The punch line of that was organic to the development of Rose's character, but with Clara, it felt rather like a non sequitur.) But the new season, which premiered a few weeks ago, has honestly made all recent frustrations fade almost entirely from view. What prompted this bit of writing was last Saturday's Steven Moffat-authored episode, "Listen" – which may have been one of the best stand-alone episodes of the entire series. Everything that is great about this new season was on display: the plot was developed in a painterly fashion, letting the narrative wind its way forward rather than barrel ahead; instead of our players beings buffeted by the whims of larger or fated forces, the psychology and motivation of the characters comes to the fore. 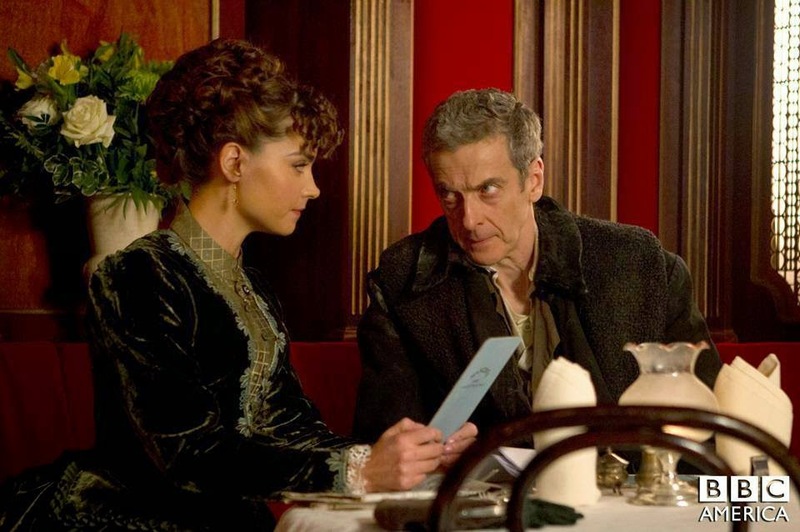 Plus, and Clara and the Doctor continue to entertainingly trade barbs and insults, further distancing us from the awkward, and often genuinely unsettling, flirtations between Clara and Smith's Doctor. Much of this comes from the sheer force of Peter Capaldi in the role of the Doctor. Capaldi is older than the previous three Doctors (and in fact just slightly older than William Hartnell was when the first episode of Doctor Who aired in 1963). The new series has had the Doctors played by younger and younger actors with every new regeneration, culminating with Matt Smith's baby-faced 27 years at the last juncture. But that ostensible youth meant that the character's centuries-old maturity had to be played out, in word and deed, on the screen. Here, with Capaldi's face doing the work, the series can relax on that point and return us to a muddling, sometimes genuinely confused Doctor (with moments of Tom Baker-esque mania). For all his craggy, 56-year-old face, there is something newly child-like about this 12th incarnation of the character. His persnickety demeanour hovers between the dodderingness of an older man and the unsettled emotions of an adolescent. Even into the fourth hour of the new season, the Doctor is still struggling with a somewhat scrambled memory (which, considering the events of the 50th anniversary special, is no surprise), and he is significantly more unpredictable than any recent incarnation. It is refreshing, it is entertaining, and it has re-energized a show that for all of the youth of its on-screen players, was beginning to feel a little tired. I'm not sure if this past week's episode was the first time the series has shown us the Doctor as a child (though I believe it's a first for the new series), but it feels just right for Capaldi. The camera never shows us the boy's face, and all we are left with is pure child: alone, afraid of the dark, and a swirling field of emotions. Exactly the kind of child that lives inside all of us, for the rest of our lives. Peter Calpaldi seems to the best thing that has happened to Steven Moffat since Benedict Cumberbatch. And for the time being, the future (and the past, and everything in between) looks bright indeed.